« How to fix a clutch in Freiburg? 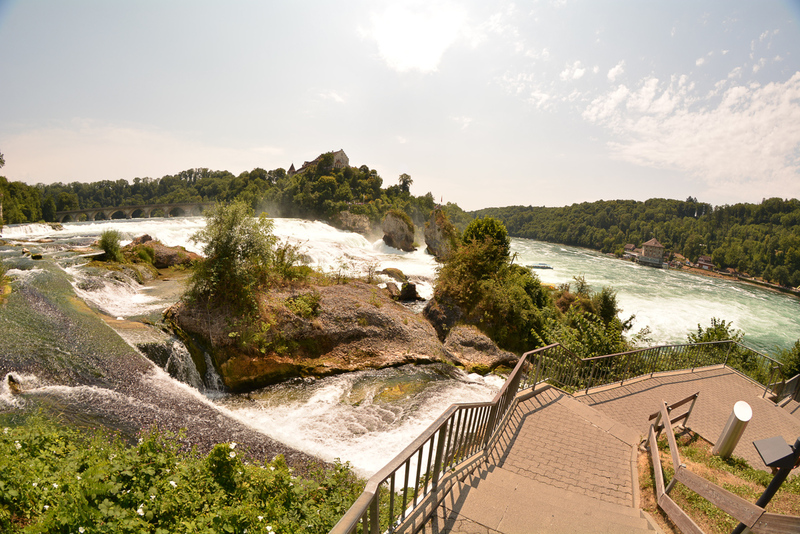 Following the Rhine, we arrive at the spectacular Rhine Falls in Neuhausen. 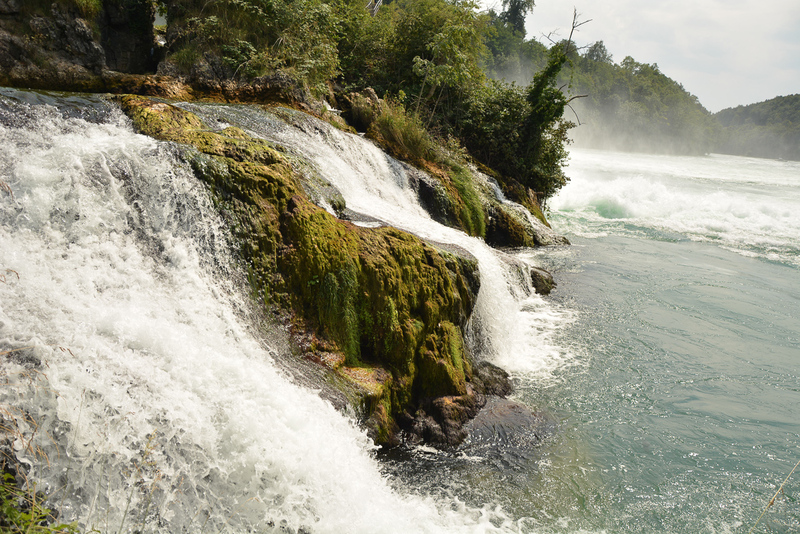 It is the largest waterfall in Europe, as measured by the amount of flowing water. In winter the average flow is 250 cubic meters per second while in the summer it can go up to 600 m³ per second. A bit further in Flurlingen I see people drifting down the river using a variety of inflatable tubes and other floating items. The courageous ones jump into water from a nearby bridge. 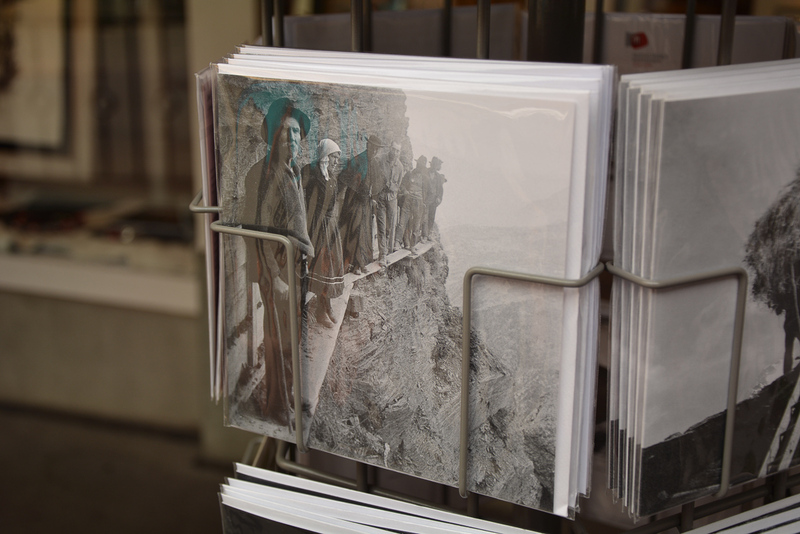 This is the way to learn about new cultures – Swiss at the moment – so we also decide to jump off that bridge. Despite initial doubt about the height we manage to block out the fear and jump. Refreshingly cold river is exactly what we needed on a hot day. The next random town we visit on our trail is not that crazy. We spend the night in a place called Stein. This village has roughly two hundred residents, probably doesn’t exist on tourist maps. All you can find here is several houses, cows grazing at pastures, a small convenience store and a Ferrari car shop. Only the most essential things a Swiss village like Stein may need. 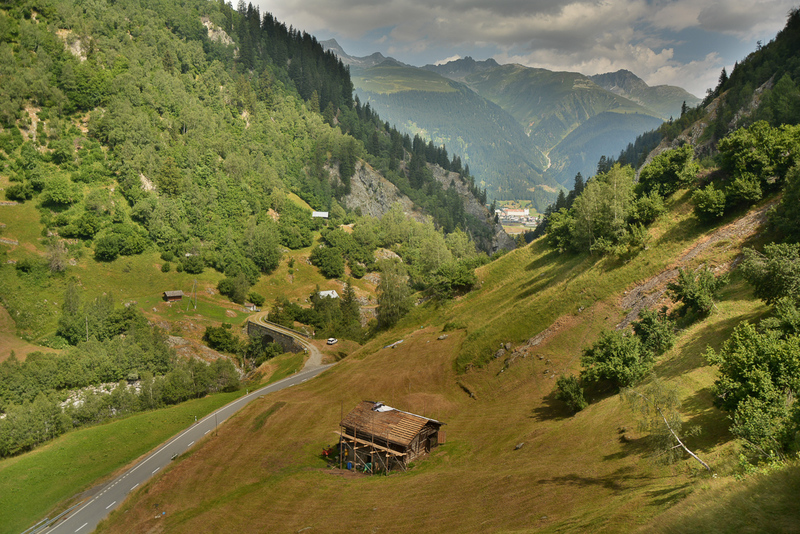 The next stop on our improvised route is Appenzell. 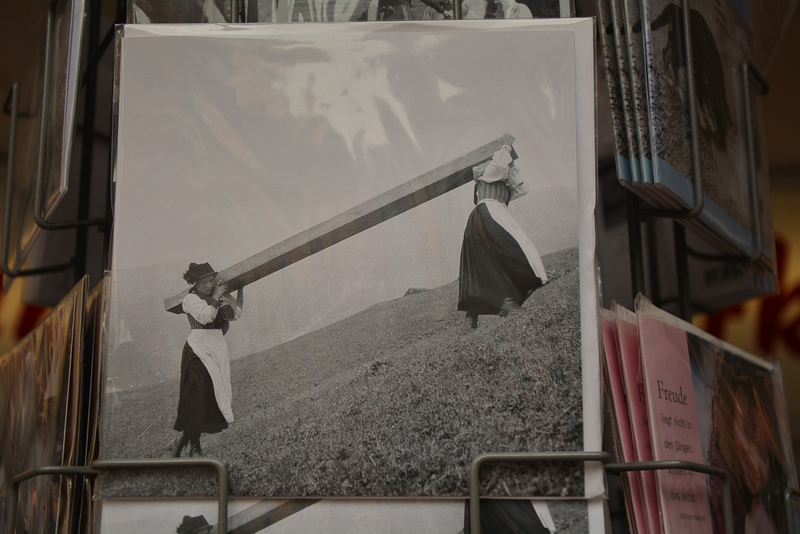 A historic town that became famous for not allowing women to vote until 1991. Strange, but that is true. The city is also known for its Alpenbitter, an alcohol produced using 42 different types of herbs. Currently it is touted as an aperitif and digestive, which by deduction means you can drink it on any occasion. On my travels I try to avoid visiting a new country just for the sake of being there and ticking another country on my checklist. It is much better to use proper amount of time to explore it thoroughly. Otherwise, we would run out of new countries to explore too quickly! 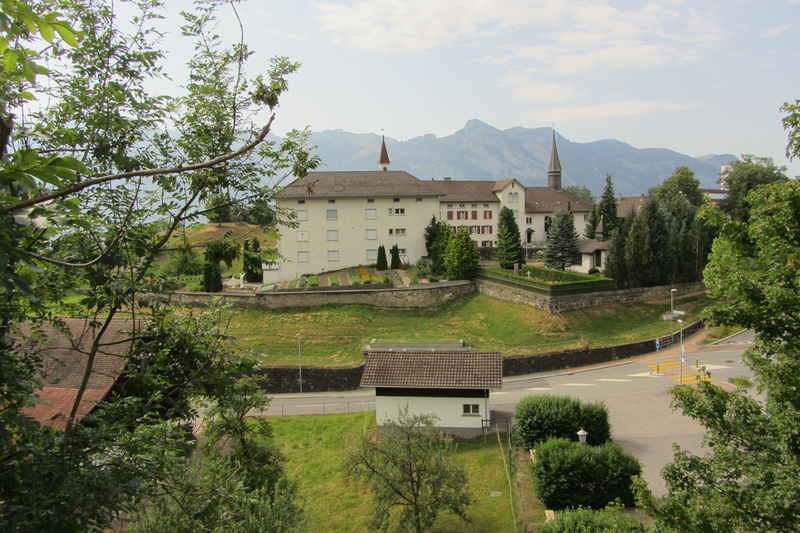 But… we are so close and Liechtenstein is so small that spending there only few hours shall be enough to visit a large part of it. We begin our usual visit in this unusual “country”, if you can call it “a country”. Is this a part of Switzerland since they are using francs too? Or maybe not, since black number plates labelled with white FL letters tell us we are somewhere else? This is a secondary matter. It is important that our first thing to do is go for a trail run in the woods. 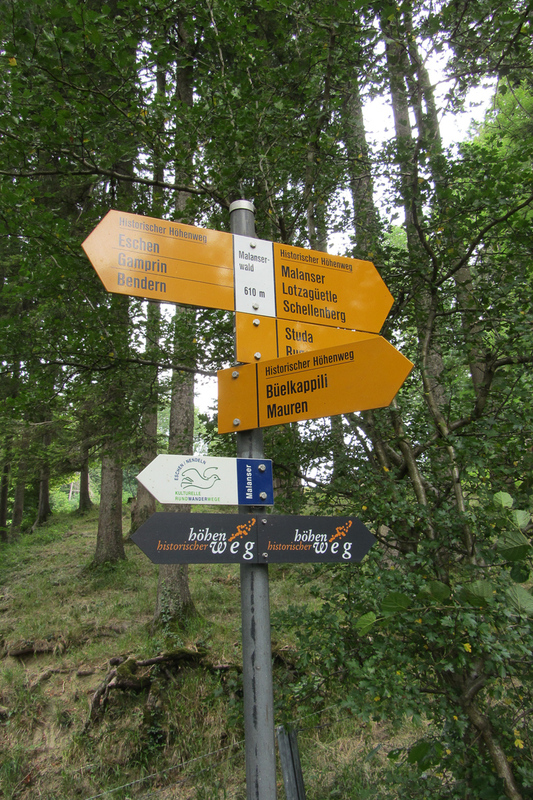 We start in the village of Schellenberg, from where a well-marked trail takes us along the hills and historic villages. From time to time we encounter a situation map that tells us about our changing position. As it turns out, it is neither a map of the route nor the region. That is the map of entire country, which can be hiked across in a few hours. 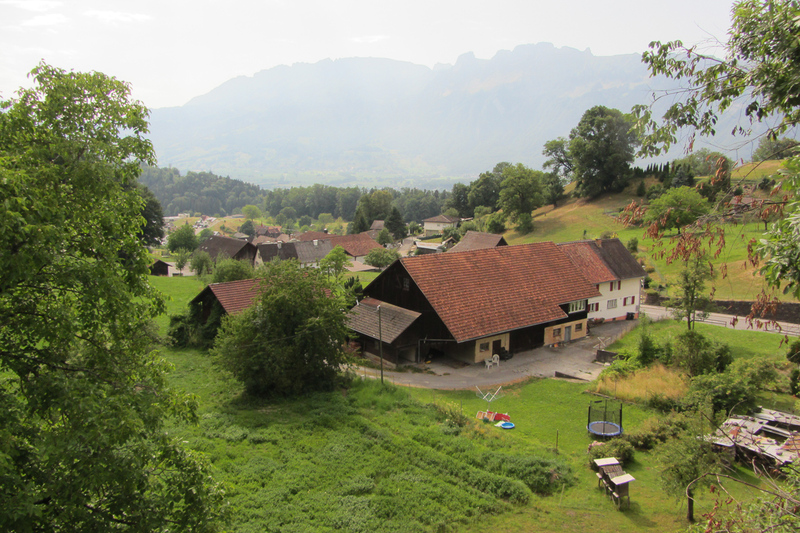 We’ve already walked on foot a large part of Liechtenstein. 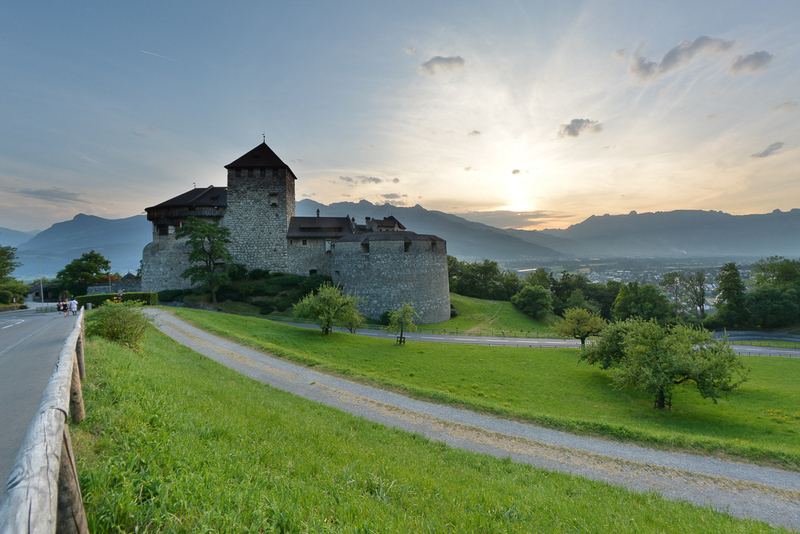 What is missing is a visit to the palace of Lichtenstein’s Prince. Not that easy though. Unfortunately, the prince does not accept visitors and the gates are definitely closed. We meet a group of Chinese who hoped for their private reception at price’s too. They came here specially from Munich for just a couple of hours (speaking of ticking new countries…), where they had been exhibiting the latest DJI drone at trade fair. We learn that the majority of Chinese working full-time have only 7 days of holiday leave per year. In that case their hectic pace is justified. 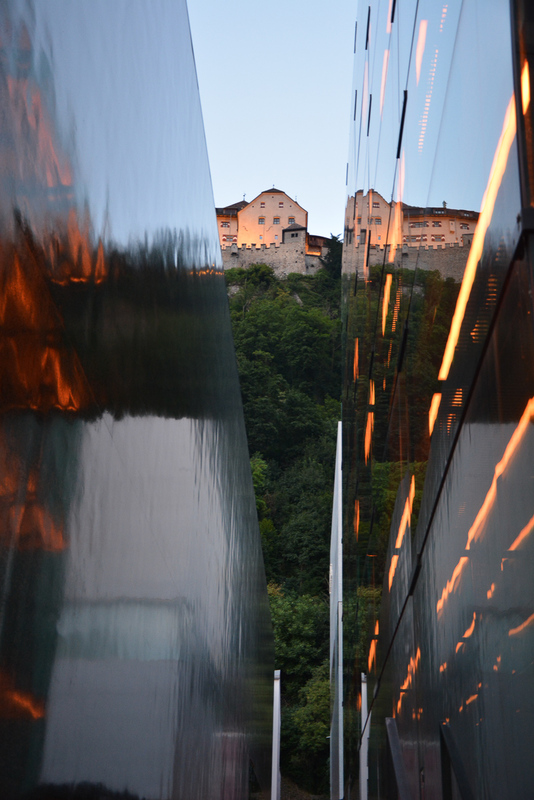 We spend the evening in Vaduz, the capital of Liechtenstein. 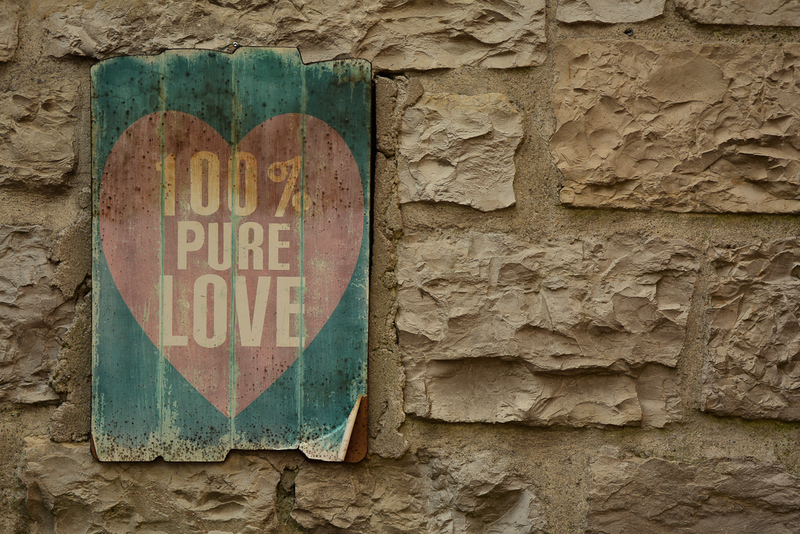 Among the expensive restaurants, street monuments, extravagant shops with jewellery and overprized watches that even don’t have GPS, between financial institutions and the headquarters of international holding companies, we find a normal bench. It is a bench where you can sit on and observe this surreal reality. I’d be lying if I say that it is not a strange country at least. It’s time to go deeper into the Alps. 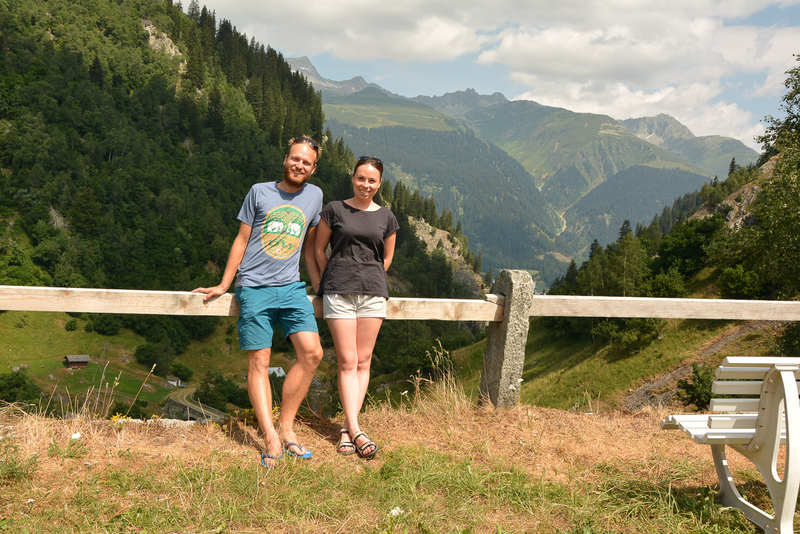 We move south via Austria and Switzerland in the direction of Italy. 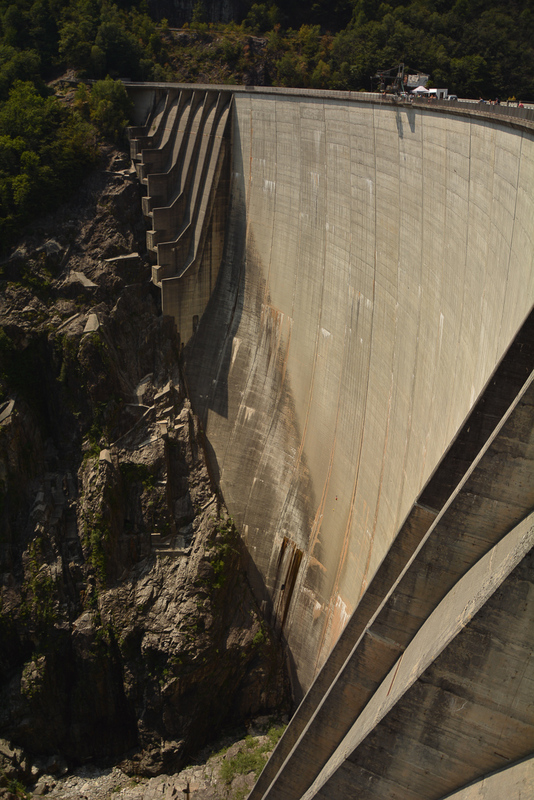 On the way we make a stop at Verzasca Dam. 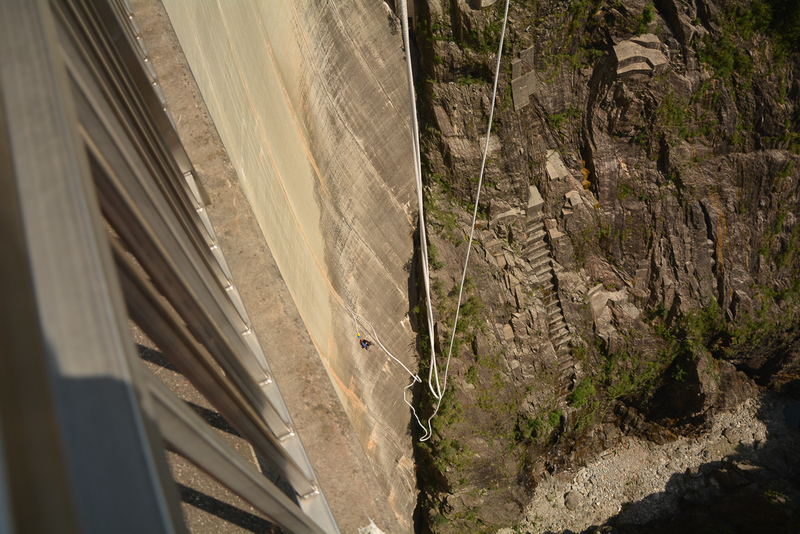 Ela suggested to see that legendary agent’s 007 James Bond bungee jump (featured in Golden Eye). I’m not sure if this is the price tag of CHF 250 or perhaps a height of 250m or maybe just a ratio of 1 franc per meter of flight, but all of these factors make us put off bungee jumping aside until next opportunity.